Bamboo, in it’s raw unfinished state (harvested). Bamboo is a natural product, and as with any other hardwood floor, it is susceptible to dents, marks and scratching. 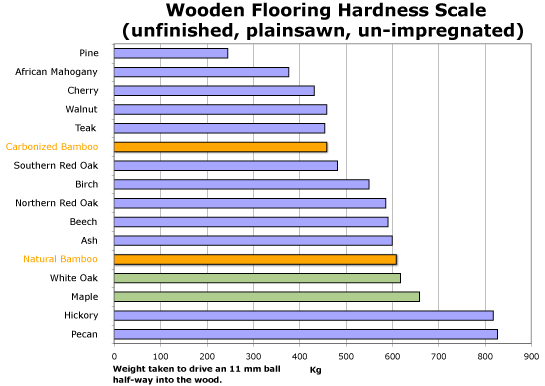 This article, written by the Hardwood Installer, provides a pragmatic review on the hardness properties of bamboo.